He has been serving as neurosurgery specialist in Anadolu Medical Center since 2017. Assoc. Prof. Dr Göçmen graduated from GATA Medical Faculty in 2000. Right after his graduation, he served as infirmary chief surgeon at Hakkari / Şemdinli Border Batt. Between the years 2003-2008, he completed his specialty education in Ankara GATA Department of Neurosurgery and in 2008 he was appointed as a specialist doctor in GATA Haydarpaşa Training Hospital in Istanbul. During this time he received training in functional neurosurgery, gamma knife and endovascular initiatives at the Oregon Health and Science University (United States), Cleveland Clinic and the Pamukkale University Faculty of Medicine. In 2014 he left GATA and worked in a private hospital in Denizli. In 2015 he received the title of associate professor. Assoc. Prof. Dr Göçmen, who began to work at Anadolu Medical Center in 2017, is still serving as a neurosurgery specialist. 1.German Society of Neurosurgery awards, Traveller Award for young neurosurgeons. Dresden, Germany, May 11-14, 2014. 2. C Atabey, E Zorlu, H Kurt, S Göçmen, D Ünsal, C Dinç, MN Demircan. Lomber Spinal CerrahiSonrasıAğrınınAzaltılmasındaEnEkonomikYöntem: SoğukKompresyonUygulaması. TürkNöroşirürjiDerneği, OmurgaVeOmurilikTümörleriSempozyumu, Yılın Bildirileri “İkincilikÖdülü” 25-28 Eylül 2014, Çeşme, İzmir. 1. Kahraman S, Kayalı H, Atabey C, Acar F, Göçmen S. The accuracy of near-infrared spectroscopy in detection of subdural and epidural hematomas. J Trauma. 2006 Dec;61(6):1480-3. 3. 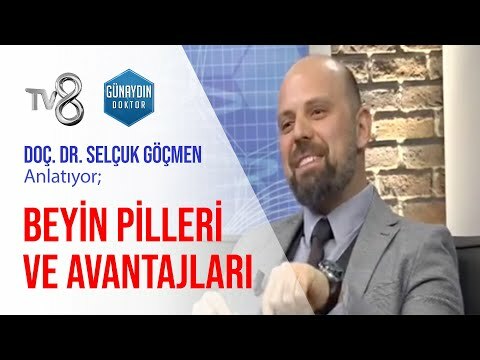 Düz B, Göçmen S, Seçer HI, Basal S, Gönül E. Tethered cord syndrome in adulthood. J spinal Cord Med. 2008;31(3):272-8. 4. Kahraman S, Anık I, Göçmen S, Şirin S. Extradural giant multiloculated arachnoid cyst causing spinal cord compression in a child. J spinal Cord Med. 2008;31(3):306-8. 5. Düz B, Göçmen S, Seçer HI, Öngöru O, Gönül E. Intramedullary Primary Cervical Melanoma. Neurosurgery Q. 2009 Sep;19(3):217-8. 6. Seçer HI, Göçmen S, Cansever T, Kaplan M, Gönül E. Clinical and radiological effects of the treatment modalities in a case of arachnoid cyst rupture. Fırat Medicine Journal. 2009;14(1):97-100. 7. Göçmen S, Gamsızkan M, Öngöru O, Sefali M, Erdoğan E. Primary dural lymphoma mimicking a subdural hematoma. J ClinNeurosci. 2010 Mar;17(3):380-2. 8. Göçmen S, Topuz AK, Atabey C, Güven G, Demircan MN, Berber U.Cystic meningiomas: report of three cases. Gülhane Medicine Journal. 2011;53:69-73 . 10. Göçmen S, Kutlay M, Atabey C, Topuz AK, Demircan MN, Velioğlu M. A direct Carotid-cavernous fistula due to penetrating trauma by a knitting needle to the temporal region. Arch ClinExpSurg 2012;1(4):261-264. 11. Göçmen S, Şirin S, Oysul K, Ulaş UH, Öztaş E. The effects of Low-Dose Radiation in the treatment of sciatic nerve injury in rats. Turkish Neurosurgery 2012;22(2):167-173. 12. Atabey C, Göçmen S, Şimşek H, Zorlu E, Demircan MN, Çolak A, Dinç C. Surgical results of degenerative spondylolisthesis patients over 70 years old: A single-center experience and clinical outcomes. Turkish Neurosurgery 2012;22(5):534-539. 13. Göçmen S, Atabey C, Güven G, Şimşek H, Çolak A. Management of Spinal epidural Lipomatosis: A report of two cases. J Neurol. Sci. (Turk) 2012;29(4):851-856. 14. Topuz AK, Eroğlu A, Atabey C, Dinç C, Göçmen S, Çolak A, Demircan MN. Evaluation of 18 recurrent carpal tunnel syndrome and ıts causes. Turkish Neurosurgery Journal 2012;22(1):10-15. 15. Topuz AK, Eroğlu A, Göçmen S, Atabey C, Çolak A, Demircan MN. Isolated Dorsal Scapular Nerve lesion due to penetrating injury: case report. Turkish Neurosurgery Journal 2012;22(2):130-133. 16. Göçmen S, Ocal S, Atabey C, Acar F, Timurkaynak E. The descriptive of long hospitalization patients (more than 6 months) in neurosurgery intensive care unit. Turkish Neurosurgery Journal 2012;22(2):92-99. 17. Erbas YC, Göçmen S, Yılmaz E, Erdoğan E. Lumbar Radiculopathy due to synovial cyst: Case report. Ortadogu Medical Journal 2013:5(1);53-54. 18. Göçmen S, Zorlu E, Atabey C, Topuz AK, Çolak A, Demircan MN. C1 Dumbbell Tumor:A case report. Turkish Neurosurgery Journal 2013;23(1):85-87. 19. Atabey C, Eroğlu A, Topuz AK, Göçmen S, Demircan MN. A rare complication of lumboperitoneal shunt surgery; Radiculopathy: A case report. Turkish Neurosurgery Journal2013;23(1):92-95. 20. Göçmen S, Eroğlu A, Topuz AK, Atabey C, Zorlu E. Median nerve injury due to pralidoxime auto-injector: A case report. Turkish Neurosurgery Journal 2013;23(1):100-102. 21. Göçmen S, Aysal BK, Eroğlu A, Şahin C, Uygur F, Demircan MN. Intracranial extension of squamous cell carcinoma of the scalp: A case report. J Neurol. Sci. (Turk) 2013;30(2):391-395. 22. Atabey C, Göçmen S, Küçükodacı Z, Demircan MN. Results of the effect of octenidinedihydrochloride 0.1% and phenoxyethanol 2% on rat CNS in the experimental cranial surgery. HealthMED 2013;9(7):2595-2599. 23. Erbaş YC, Göçmen S, Kendirli MT, Ataç GK, Erdoğan E. Neurovascular compression of the left rostral ventrolateral medulla: Clinic findings and surgical result. J Neurol. Sci. (Turk) 2013;30(3):607-611. 24. Göçmen S, Çolak A. Classifications of Pediatric Hydrocephalus and Pathophysiology. Turkish Neurosurgery Journal 2013;23(2):174-179. 25. Göçmen S, Kutlay M, Erikçi A, Atabey C, Sayan O, Haholu A. Central Nervous system involvement of T-cell prolymphocytic leukemia diagnosed with stereotactic brain biopsy: case report. Turk J Hematol2014;31:75-78, DOI: 10.4274/ Tjh. 2012.0028. 28. Citisli V, Kocaoğlu M, Ibrahimoğlu M, Göçmen S. Three level noncontiguous thoracic vertebra compression fracture: case report. Causapedia 2014;3:800, 1-4. 29. Erbas C, Göçmen S, Kocaoğlu M, Citisli V, Erdoğan E. Foramen magnum meningioma: case report. Causapedia 2014;3:873, 1-4. 30. Göçmen S, Kocaoğlu M, Acar G, Acar F. Lesion surgeries in the movement disorders. Turkish Neurosurgery Journal 2014;24(2):200-203. 31. Citisli V, Kocaoğlu M, Göçmen S, Korucu M. Unusual presentation of multiple nerve entrapment: A case report. Pan Afr Med J 2014 Nov 15;19:283. 32. Göçmen S, Çolak A, Mutlu B, Asan A. Is back pain a diagnostic problem in clinical practices? A rare case report. Agri 2015 Jul;27(3):163-5. 34. Kocaoğlu M, Göçmen S, Çeliker O, Çeliker D, Topcu A, Coşkun E. Melanotic neuroectodermal tumor of infancy in the skull: a case report. The Turkish Journal of Pediatrics 2015;57:183-185. 35. Acar G, Göçmen S, Kocaoğlu M, Civlan S, Zisakis A, Acar F. Bilateral pallidotomy by using deep brain stimulation electrode in Parkinson’s Disease. Insights in Neurosurgery, 2016;2(13):1-4. 36. Atabey C, Zorlu E, Kurt H, Göçmen S, Unsal D, Dinç C, Demircan MN. The most economical way to reduce pain after Lomber spinal surgery: Cold compression application. Gülhane Tıp Derg2016;58:33-36. 3. Basic Neurosurgical Teaching and Training Course, II. Term, Course 1 "Brain Tumors Course", Kuşadası, 15-18 March 2005. 4. Basic Science in Spinal Surgery Summer School, Turkish Neurosurgical Society-Spinal and Peripheral Nerve Surgery Group, Gümüldür / İzmir, 07-10 July 2005. 5. Symposium on Neurovascular Surgery Teaching and Training Group "Details on Aneurysm Surgery" / Istanbul, 18 February 2006. 6. 65th Trauma and Resuscitation Course, National Trauma and Emergency Surgery Association, Ankara, 21-24 March 2006. 7. Medical NBC Course, GATA, Ankara, 20-24 January 2003. 8. Turkish Neurosurgical Society, 20th Scientific Congress, Antalya, 28 April-2 May 2006. 9. Turkish Neurosurgical Society, 22th Scientific Congress, Antalya, 18 -22 April 2008. 10. Levantine Forum “Advances in NeurologicalSurgery” Antalya, 13-16 November 2008. 11. Turkish Neurosurgical Society Surgery Neuroanatomy Teaching and Training Group Cours "Supra-infratentorial region and Vertricular Microsurgery and Endoscopic Approaches" Istanbul, 24-25 September 2009. 12. Turkish Neurosurgical Society, Spinal and Peripheral Nerve Surgery Teaching and Training Group "Cervical Degenerative Disc Disease Symposium" Nevşehir, 8-11 October 2009. 13. Turkish Neurosurgical Society, Stereotactic and Functional Pain and Epilepsy Surgery Teaching and Training Group, "Percutan Pain Surgery Initiatives, Cadaver Workshop" Denizli, 1-2 May 2010. 14. Turkish Neurosurgical Society, 24th Scientific Congress, Antalya, 14 -18 May 2010. 15. Basic Epidemiology Course, GATA Haydarpaşa Training Hospital, İstanbul, 28 June-02 July 2010. 16. Turkish Neurosurgical Society, Stereotactic and Functional Pain and Epilepsy Surgery Teaching and Training Group, "Stereotactic Basic Information and Applied Workshop" Kayseri, 16-17 October 2010. 17. 2. Uludağ Neurosurgery Winter Symposium, Uludağ / Bursa, 3-6 March 2011. 18. 5th ESSFN Hands-on Course in Epilepsysurgery in Ghent, 26-29 October 2011. 19. Turkish Neurosurgical Society International Basic Neurosurgery Course in Antalya, “Neurotrauma and Functional Neurosurgery”. March 14-17, 2012. 20. 3rd International Levantine Forum "Advances in NeurologicalSurgery" Çeşme- Izmir / Turkey. 15-18 November 2012 (Chairman). 21. Turkish Neurosurgical Society, Stereotactic and Functional Pain and Epilepsy Surgery Teaching and Training Group, "Microvascular Decompression, Spinal Cord and Peripheral Nerve Stimulation and Surgical Anatomic Cadaveric Study" Denizli, 29-31 March 2013. 22. Turkish Neurosurgical Society, 27th Scientific Congress, Antalya, 12 -16 April 2013. 23. WFNS- “World Congress of Neursurgery, Korea 8-13 September 2013. 24. Skull Base Surgery Cadaver Course Marmara University, Neurological Sciences University, Istanbul 20-21 September 2013. 25. Turkish Neurosurgical Society 28th Scientific Congress April 4-8, 2014 Antalya, Turkey..
26. Turkish Neurosurgical Society 29. Bilimsel Kongre.17-21 Nisan 2015 Antalya, Türkiye. 28. Turkish Neurosurgical Society, Dr. Mehmet Zileli Advanced Spinal Surgery Course "15th Course". Izmir / Turkey, 4-6 December 2015. 29. Turkish Neurosurgical Society "Epilepsy Surgery". Antalya / Turkey, 25-27 March 2016. 30. 4th Neurological Physiotherapy Symposium , Denizli, March 31 - April 2, 2016..
31. "Gamma knife course", Cleveland Clinic, Cleveland / USA, June 2016..
32. TND TURNOG "Sellar and Parasellar Region Lesions" İstanbul, 16-17 December 2016. 33. TND Neurovascular Education and Training Group "Intracranial Aneurysms and Vascular Neuroanatomy" Mersin, 14-15 January 2017..
34. TND Stereotactic, Functional, Pain and Epilepsy Surgery Teaching and Training Group. "Yücel Kanpolat Symposium, Pain and Spasticity Surgery" 10-12 March 2017 Antalya, "Session Presidency". 35. Turkish Neurosurgical Society 31. Bilimsel Kongre.29 Mart-2Nisan 2017 Antalya, Türkiye. 36. TND "3-dimensional endoscopic skull base surgery cadaver course with navigation" March 29-April 2, 2017 Antalya, Turkey. 37. Turkish Spine Society AOSPINE "Deformity Surgery Course" Trainer. May 13, 2017, Denizli. (Common intraspinal lesions in deformity surgery)..